Our parish community numbers some 1,600 households, and together we are called to build the Kingdom of God. Below is a list of our Ministries. We appreciate and are open to your willingness to give of your time, treasure and talent. Many parish ministries need assistance, and there is room for many different types of service. Please prayerfully consider these opportunities for getting involved in ministry. 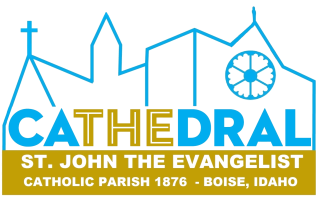 And if you have an idea for a new parish ministry, please contact us. May St. John the Evangelist enlighten and guide you!